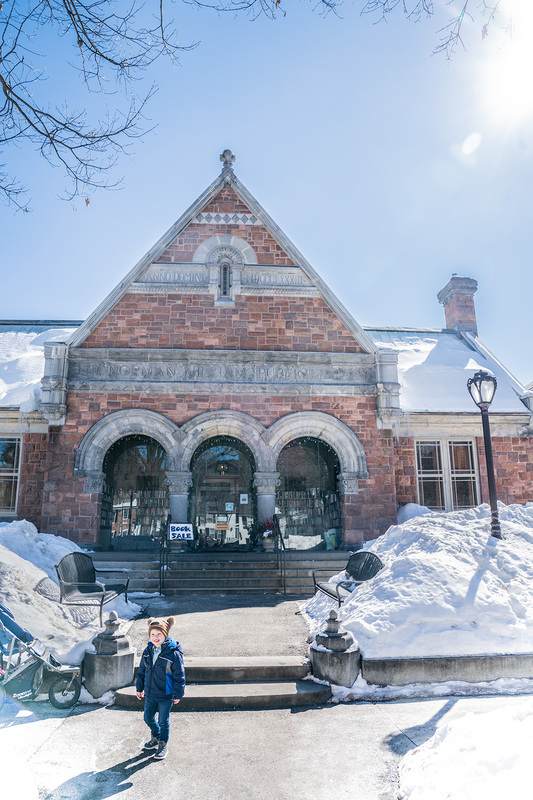 Planning a winter trip to Woodstock, Vermont? 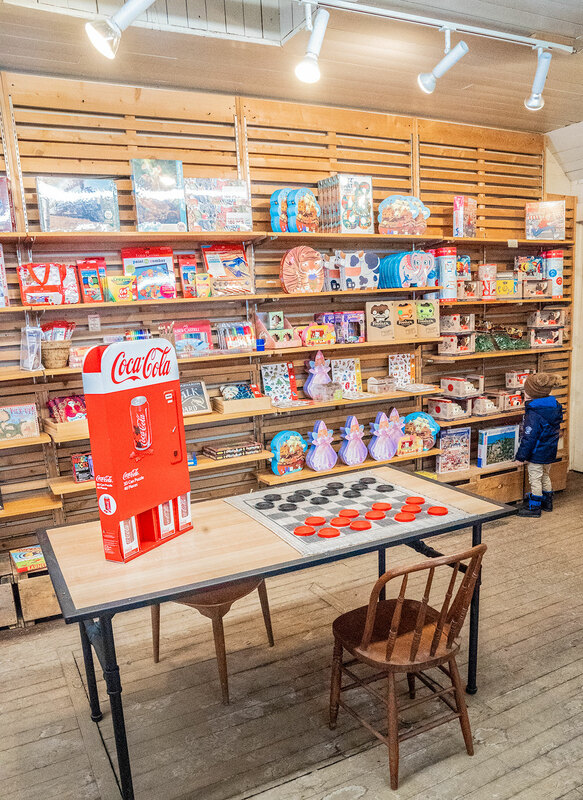 Here’s your family guide to the best kid-friendly sites and restaurants in (and around) Woodstock. 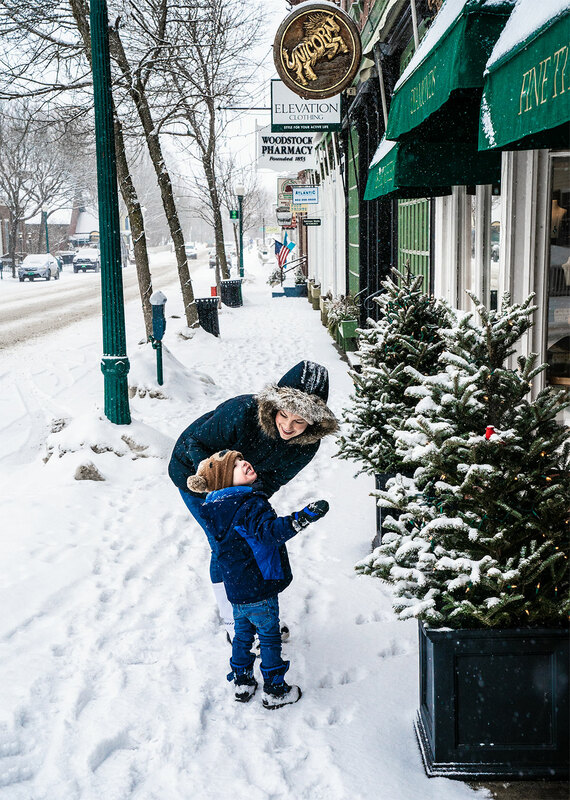 While many people throughout the country are seeing signs of spring, we’re walking through a winter wonderland. 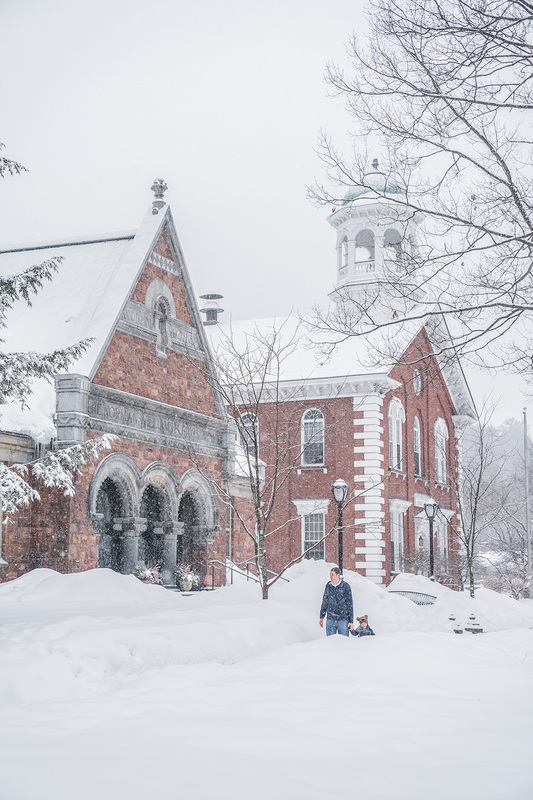 It’s mid-March in the Green Mountains region of Vermont, and a heavy snowfall is blanketing the town of Woodstock. As we wander toward the downtown shopping area, we step slowly and carefully. There are sheets of ice below the new-fallen snow. Trevor tries to catch snowflakes on his tongue. 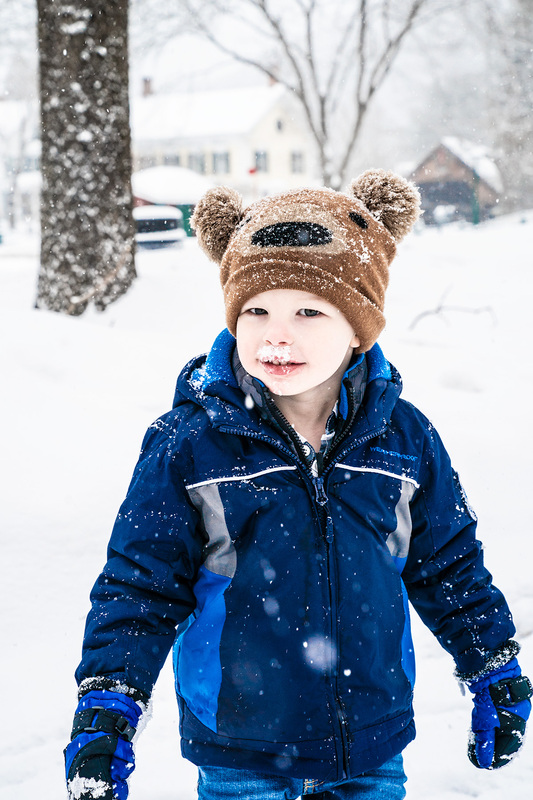 Then he dives head-first into a fresh-fallen pile of snow (what he calls “clean snow”), to take a bite. 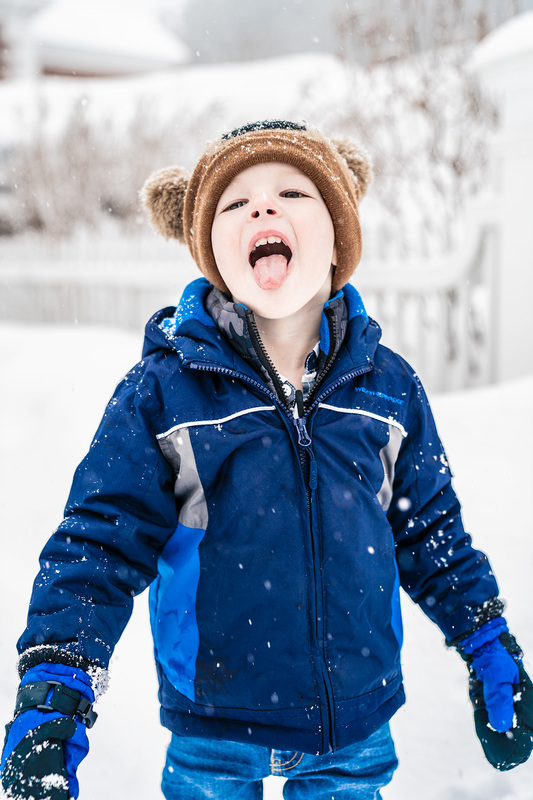 “I love snow,” he says, referring to how it tastes. When he pops his head up, he’s wearing a white snow beard and mustache. “Hey Santa, didn’t expect to see you here,” Chris says, and Trevor grins with delight. He loves playing the entertainer and making people laugh. As we wander through the streets of downtown, we check out a toy store for Trevor. Then we find an old general store that’s been around since the mid-1800’s. It’s got a little of everything, and I find a beautiful basket – made in Vermont – that’s perfect for holding napkins. 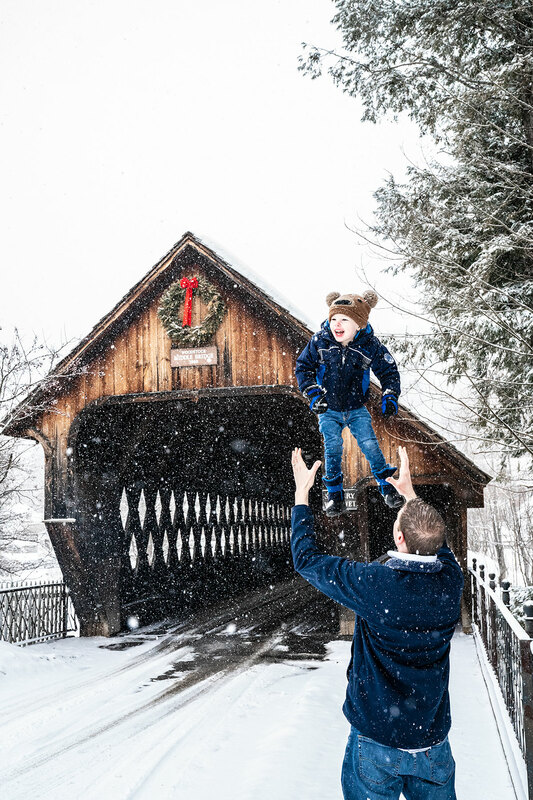 As we stroll by brick buildings that are over a century old, we find the most picturesque covered wooden bridge. Chris tosses Trevor up in the air to get a genuine, from-the-heart smile out of Tru. As I listen to Tru’s laughter and snap photos through the snow, I’m sure of one thing: I’m glad we made the weekend trip to explore Woodstock, Vermont. 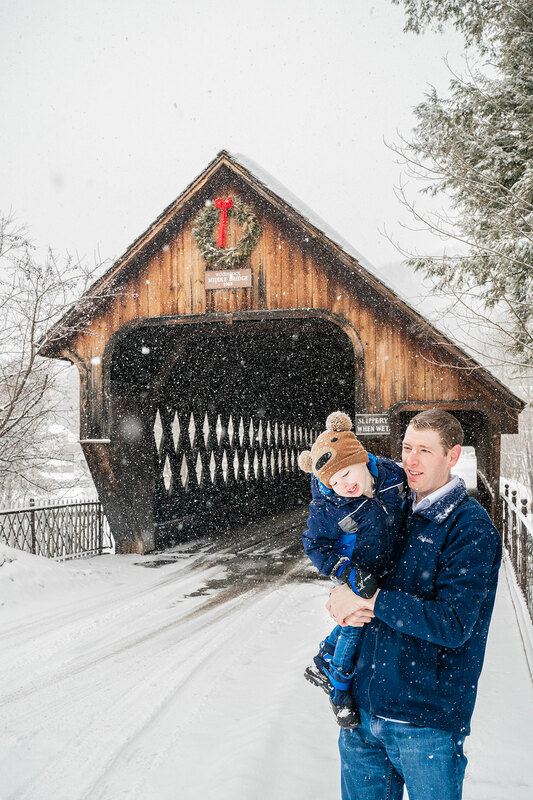 Woodstock, Vermont is a really popular destination for families throughout the winter season. 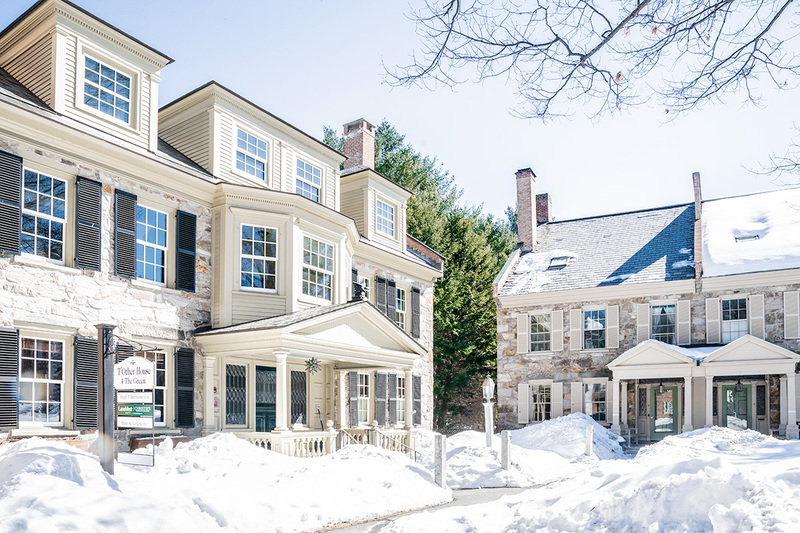 There are handfuls of nearby ski resorts, plus endless options for restaurants and lodging. 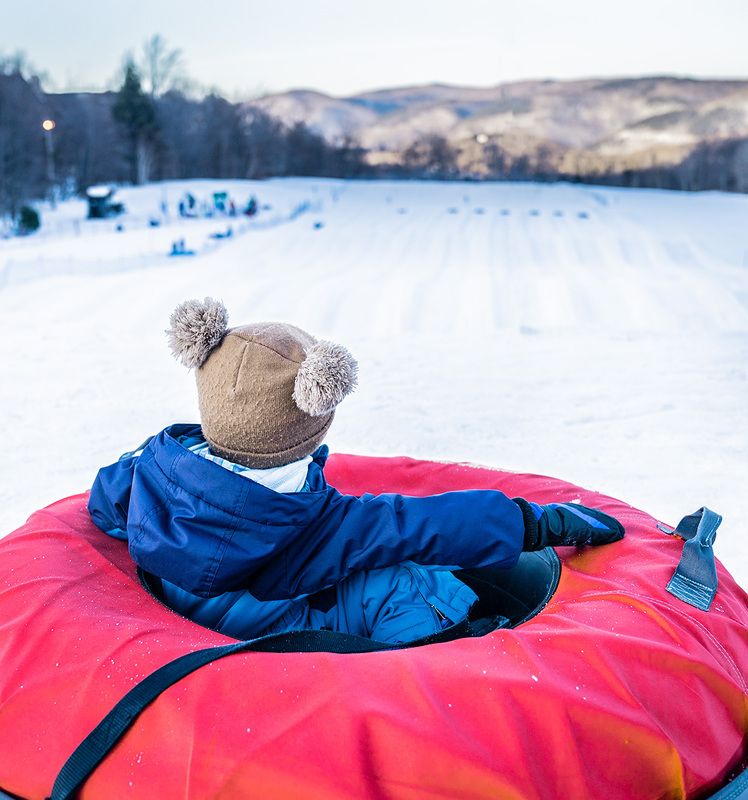 Killington is about a half-hour drive from Woodstock, and it’s one of the biggest ski resorts in the area. 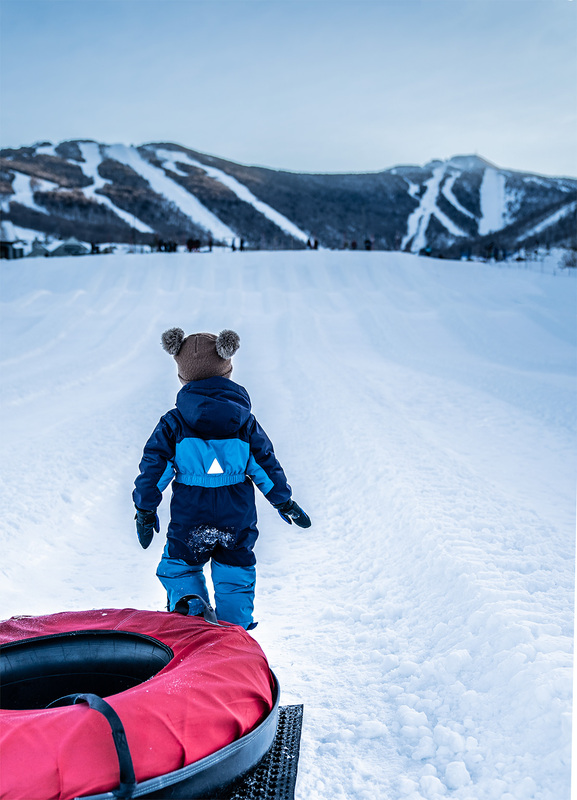 I was so impressed with Killington, because of the endless list of winter activities for families here. 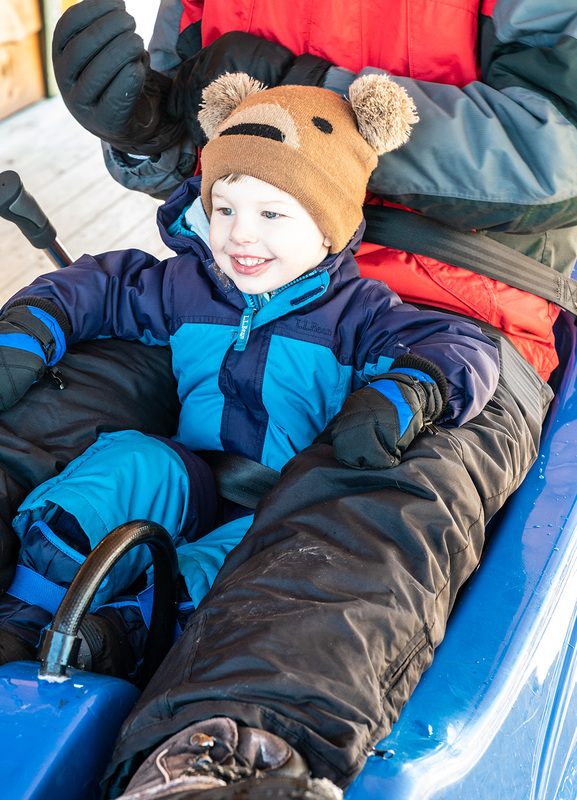 They offer ski lessons for kids, but Tru (just barely three) was still a bit too young. So we went to the tube park instead, which Trevor loved. 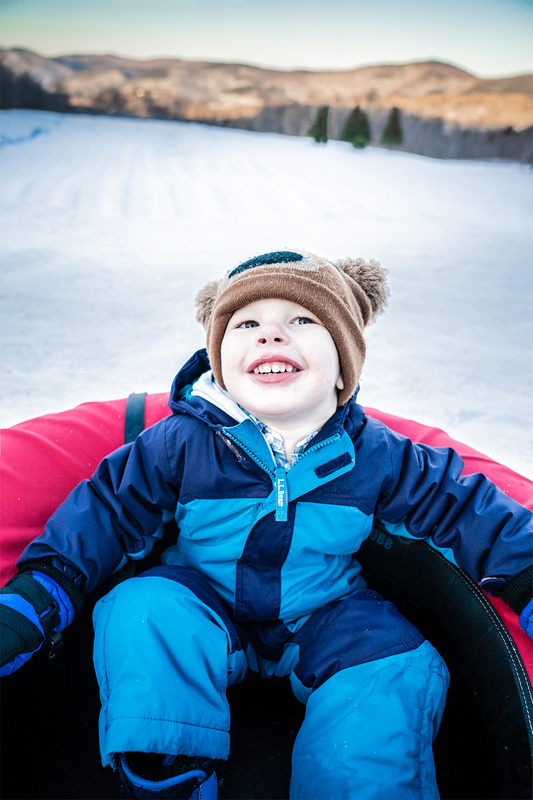 There were at least ten lanes for the snow tubes, plus a lift back up to the top of the hill. We also tried the Beast Mountain Coaster. 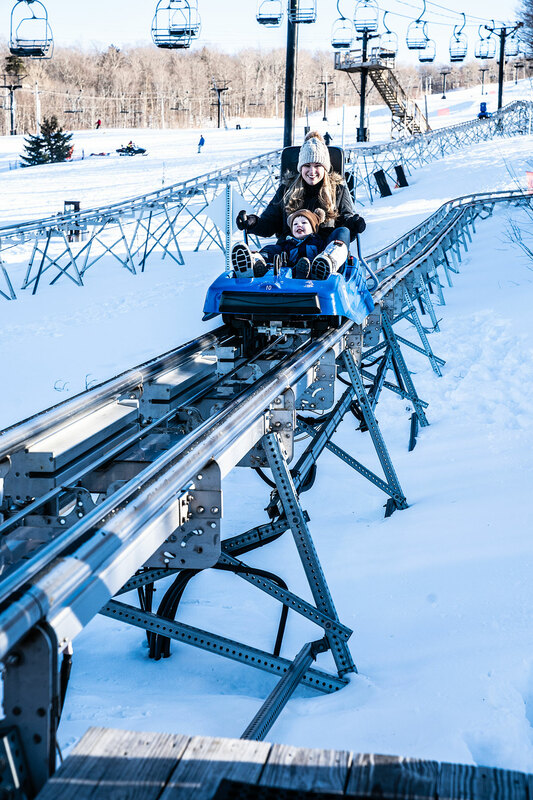 The coaster includes individual cars (with room for two) that travel up a portion of the mountain, then down again, over hills and around curves, at high speed. I was nervous to try this, so Trevor rode first with Chris. Being the tiny daredevil that he is, Tru loved it and wanted to ride again. I figured if a three-year-old could handle it, I probably could too. The ride up is long and slow, but the ride back down feels really fast (you can control the speed and apply the brakes if you start to feel like you’re moving too fast!). 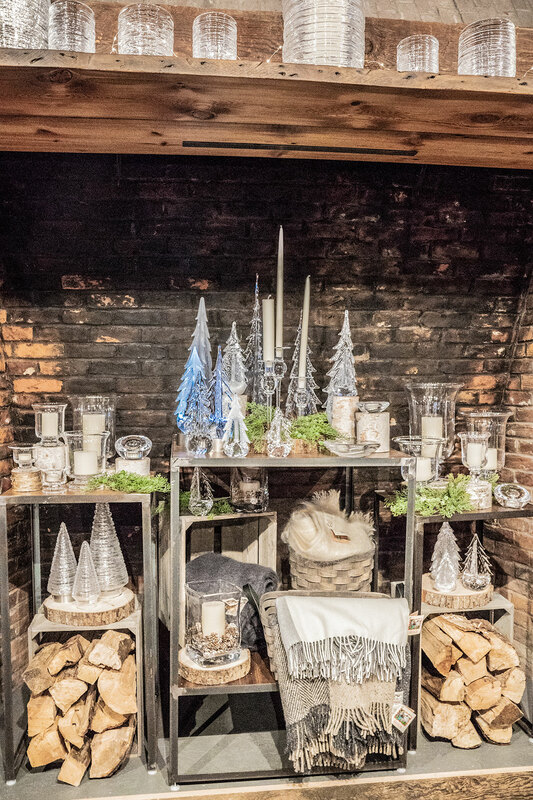 I loved wandering through the downtown shopping district in Woodstock. Most of the shops were one-of-a-kind, many of them historic. Surrounding the town were lots of stunningly beautiful historic homes made of stone and brick. 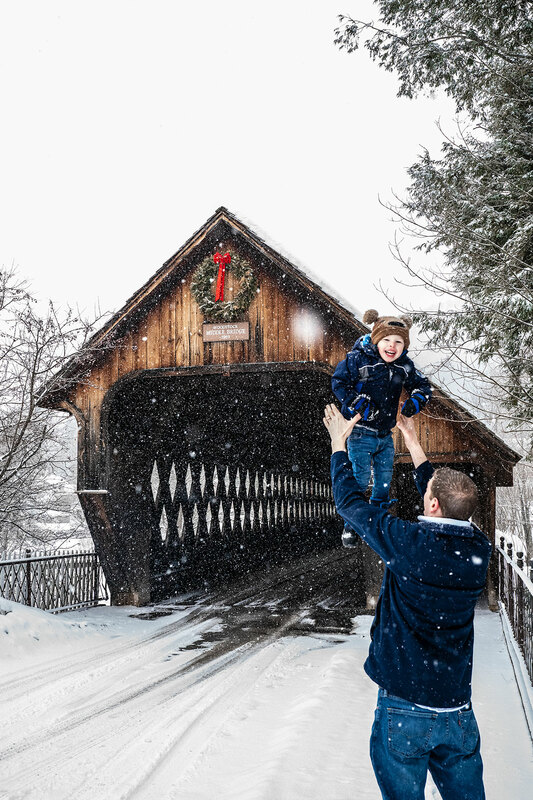 I’ve seen covered bridges in New Hampshire. But the wooden bridge (pictured above) that was just past downtown Woodstock was probably the most beautiful I’ve ever come across. 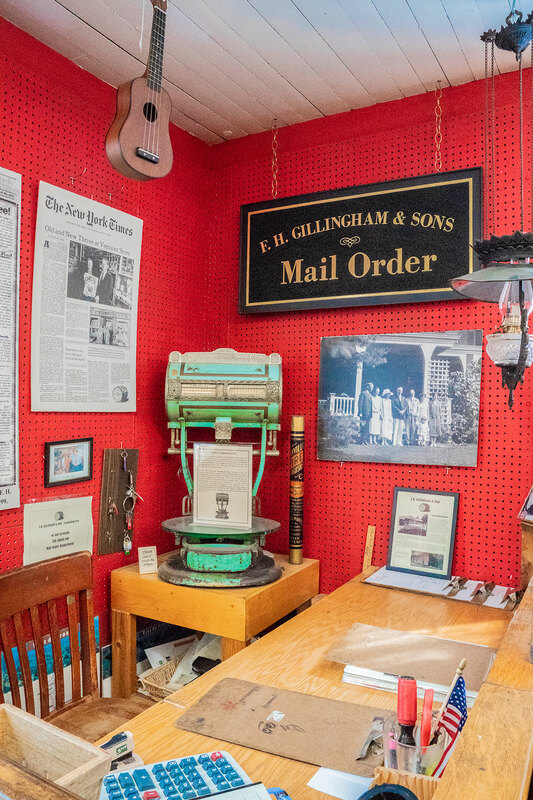 Everything about Woodstock felt like the quintessential charming New England town. There were lots of unique shops, but my favorite was F.H. Gillingham and Sons. 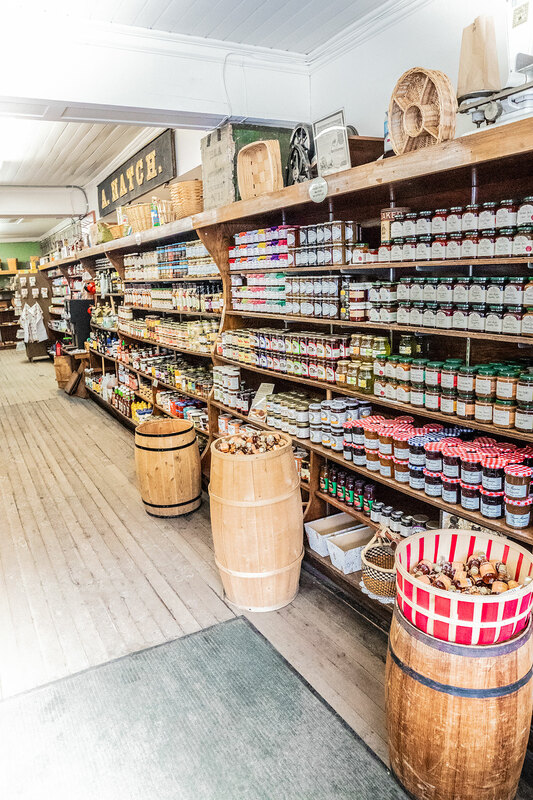 This was a general store selling a little bit of everything, from Vermont souvenirs, to winter socks and hats, to candy, to groceries, to home decor. I found so many random things I’ve always meant to buy but never got around to – a Christmas advent calendar, some new placemats, a basket to hold napkins (everything made by local artisans). Tru loved exploring the toy room that had both new and old-fashioned toys. 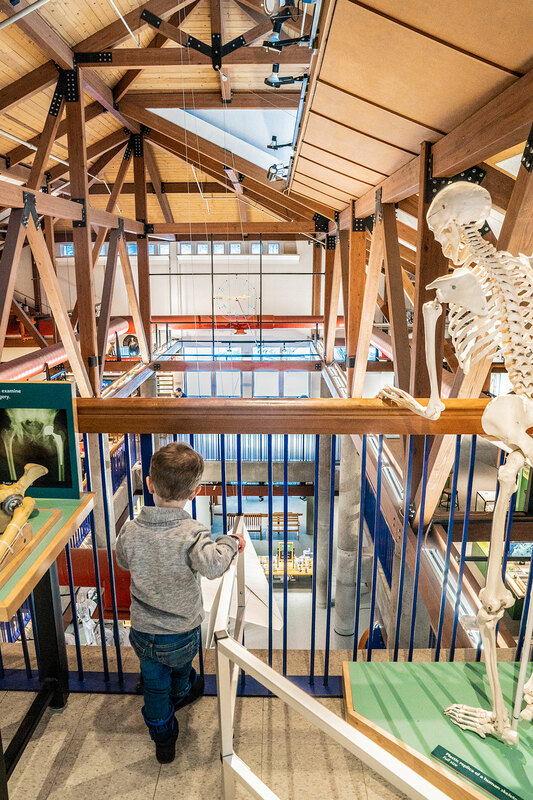 One attraction that I’d never have guessed we’d all enjoy so much: the Vermont Institute of Natural Science. 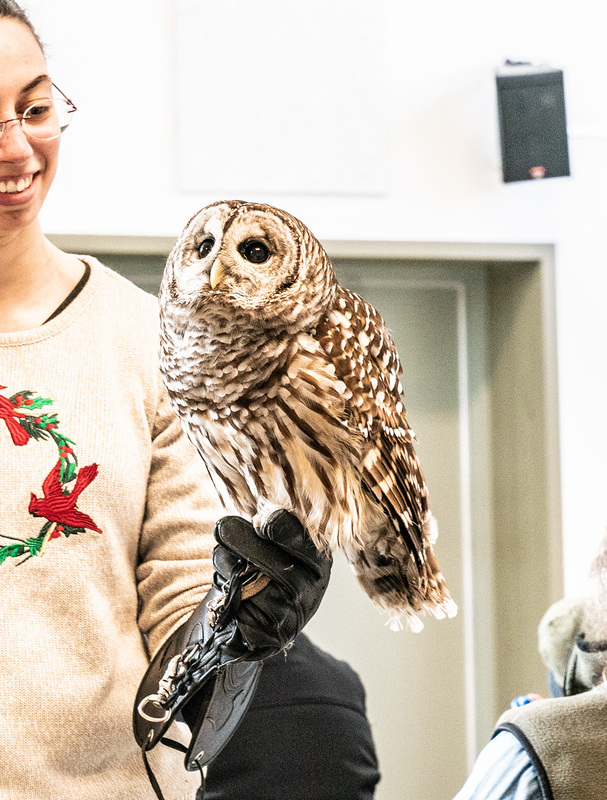 VINS, located just outside of Woodstock in the neighboring town of Quechee, is basically a sanctuary for a variety of different types of wildlife native to the Green Mountains region. We saw turtles, owls, falcons, even bald eagles. 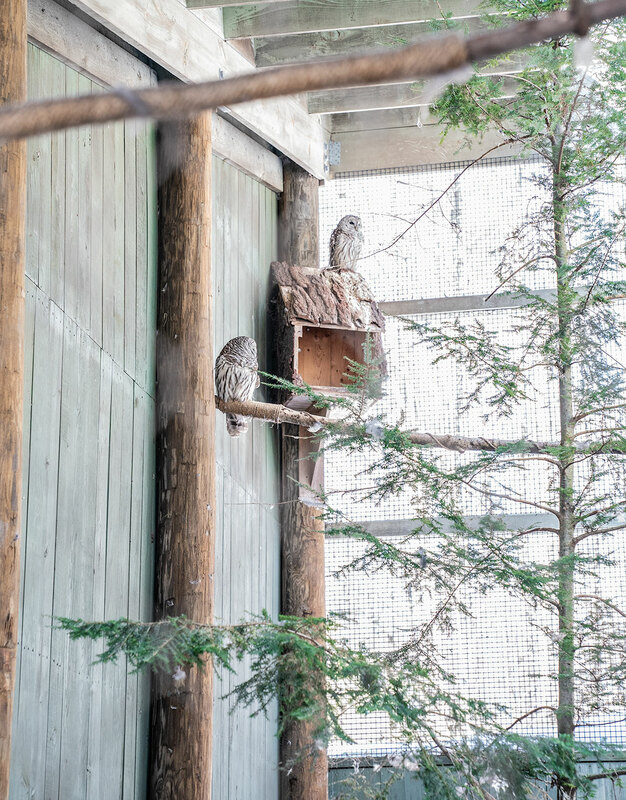 Most of the wildlife at VINS is there because they could no longer survive on their own in the wild. For example, some had been hit by a car, others had been kept as pets and then given up. 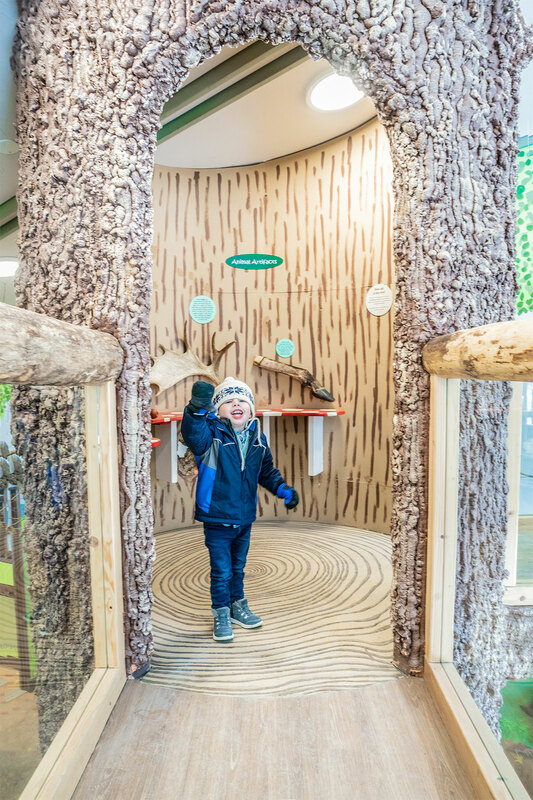 And a forest exhibit playhouse that Trevor loved because it included a big tunnel slide. 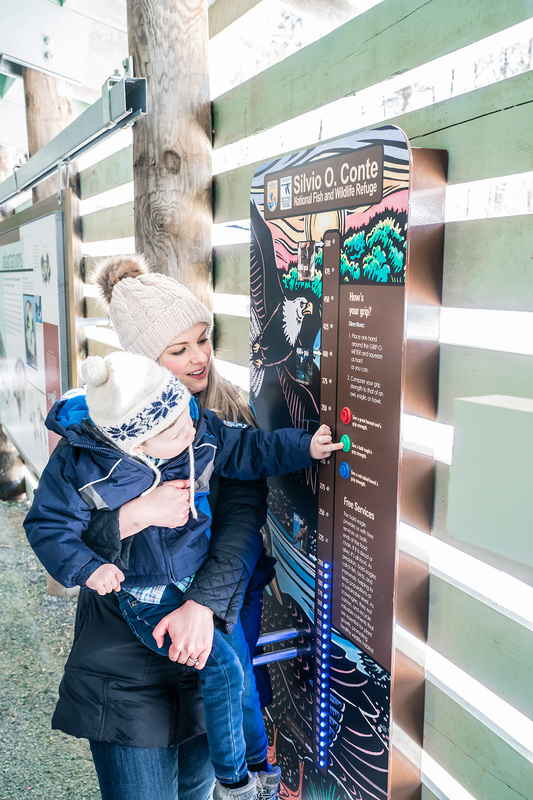 There were also live shows where visitors could see the wild animals up close. Tru loved watching the turtles eat a breakfast of fruit and worms. And we had a hawk fly so close over our heads, I could feel its feathers brush the top of my head. 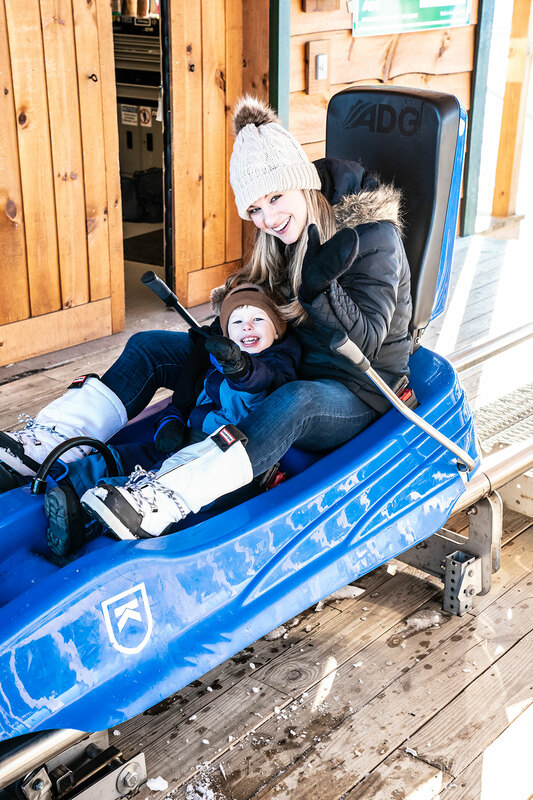 Definitely during our weekend in Woodstock, we needed a few activities that allowed us to escape the cold and snow for a while. 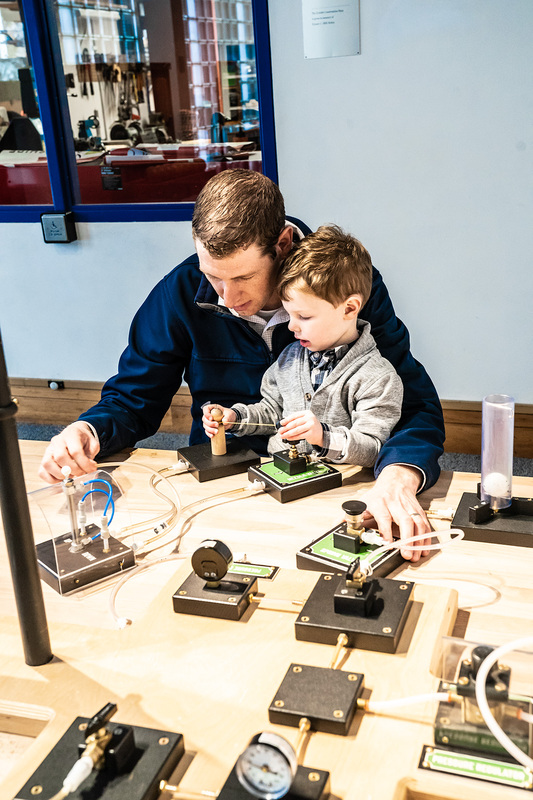 We thought that the Montshire Museum of Science, about a 20-minute drive from Woodstock, was an ideal indoor destination for families with young kids. This museum was perfect for Tru. 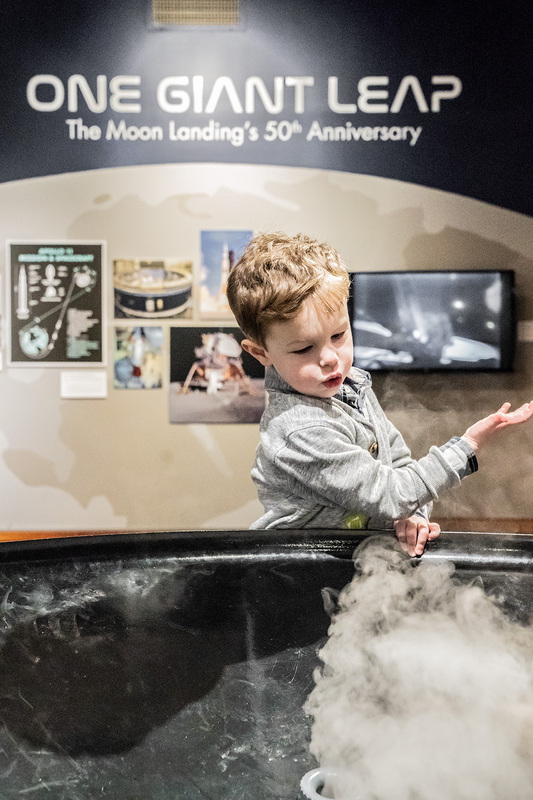 It was like a combination of a science museum, mixed with a children’s museum. We spent a full afternoon here and when we finally tried to leave, we had an impossible time trying to tear Trevor away without an epic meltdown. There were just endless hands-on, interactive exhibits, plus a big climbing space for younger kids. 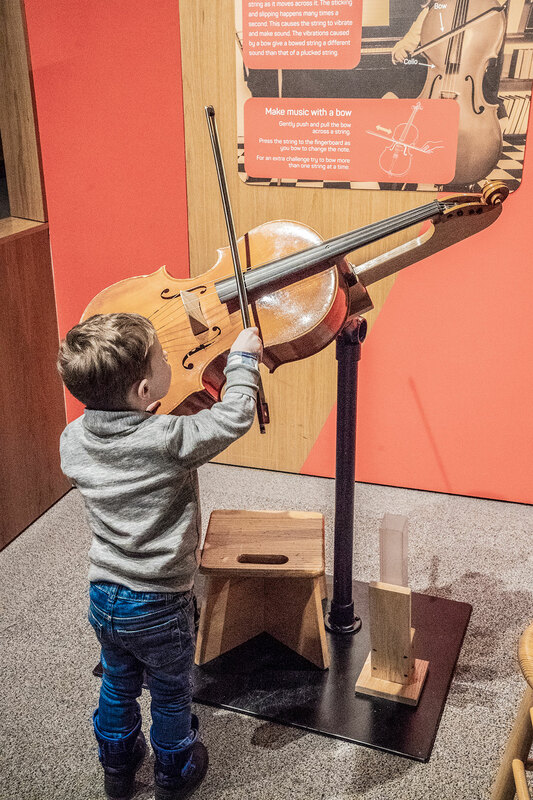 It ranks among our all-time favorite museums for kids. Although it was too cold for us to explore outside, there were also acres of scenic nature trails on the property. 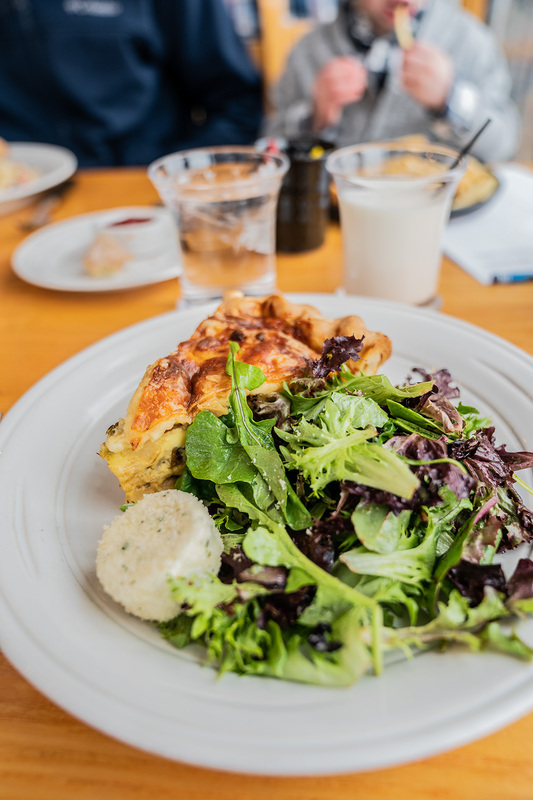 For us, King Arthur Flour was the ideal warm and cozy spot to escape the winter storms. We stopped here after visiting the Montshire Museum of Science, since it’s just a short distance away. 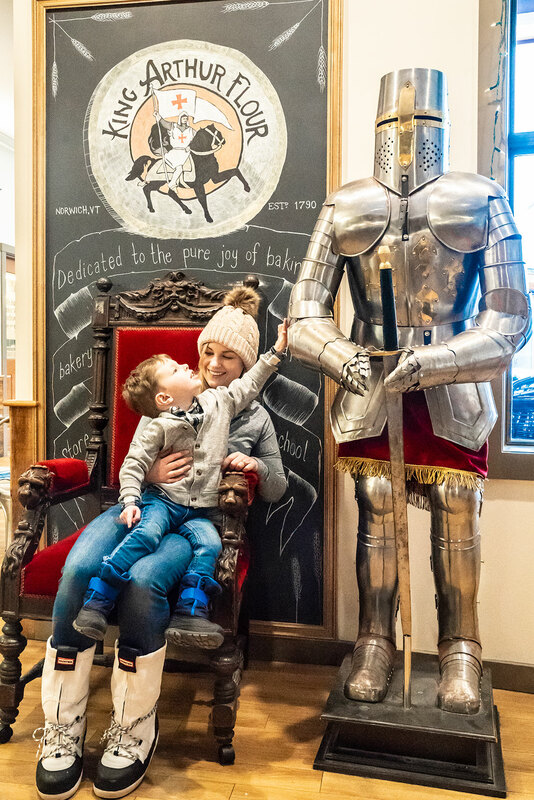 King Arthur Flour has a crazy-long history (it traces its roots back two centuries to the founding of America), and today has a flagship location in Vermont. 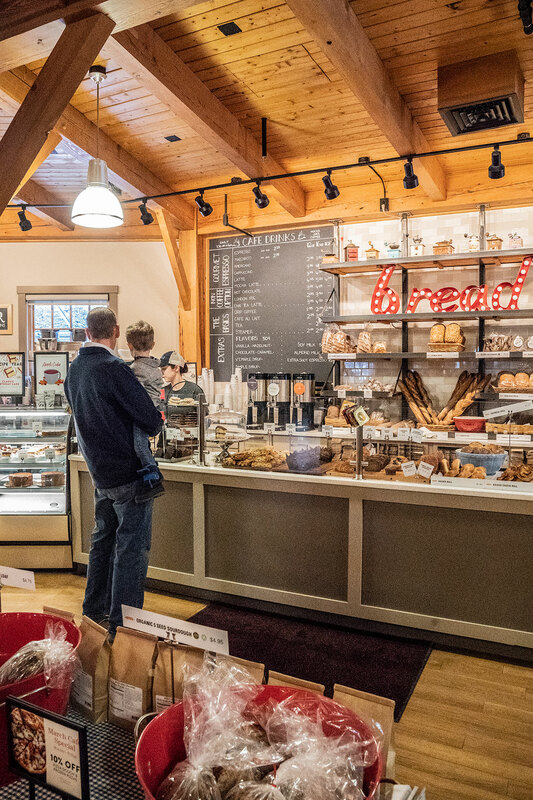 The attraction includes a café with a variety of sandwiches and pastries, a kitchen supply store, a cooking school, and bread-making facilities where visitors can watch bread being baked. It was a unique place to stop for sandwiches on freshly baked bread, and the warm brownies, fresh from the oven, were super delicious! You may have heard of Simon Pearce. 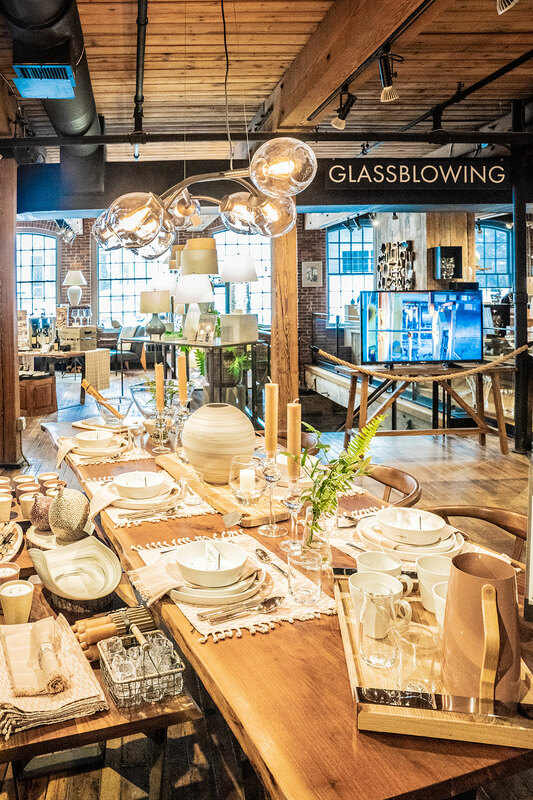 It’s a glassblowing and glassware shop, with store branches located throughout New England. 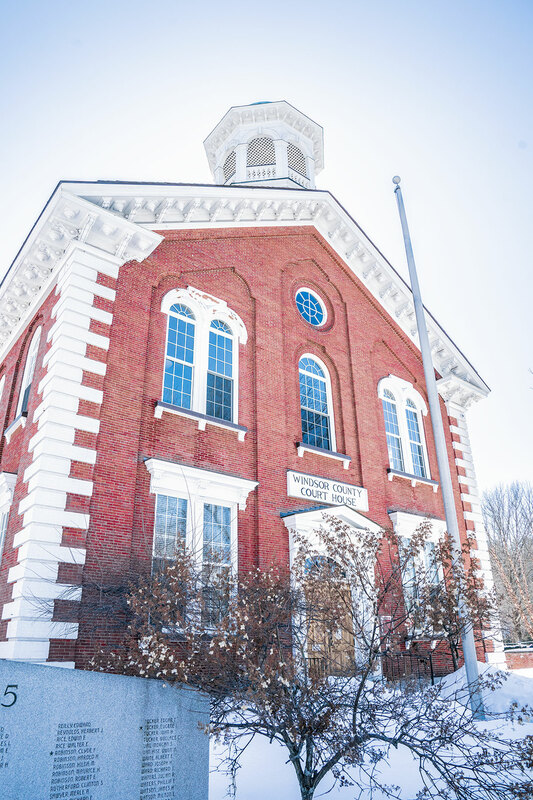 The flagship store, located ten minutes from Woodstock, is in neighboring Quechee. It’s an absolutely beautiful restaurant with stunning views of nearby river falls and a covered bridge. So far, this is sounding like the polar opposite of a family friendly destination! But we visited at 11am for weekend brunch, and it was one of my favorite stops during our entire weekend in Woodstock. The food was absolutely incredible. I had a broccoli and potato quiche with the most addictive, buttery homemade crust. 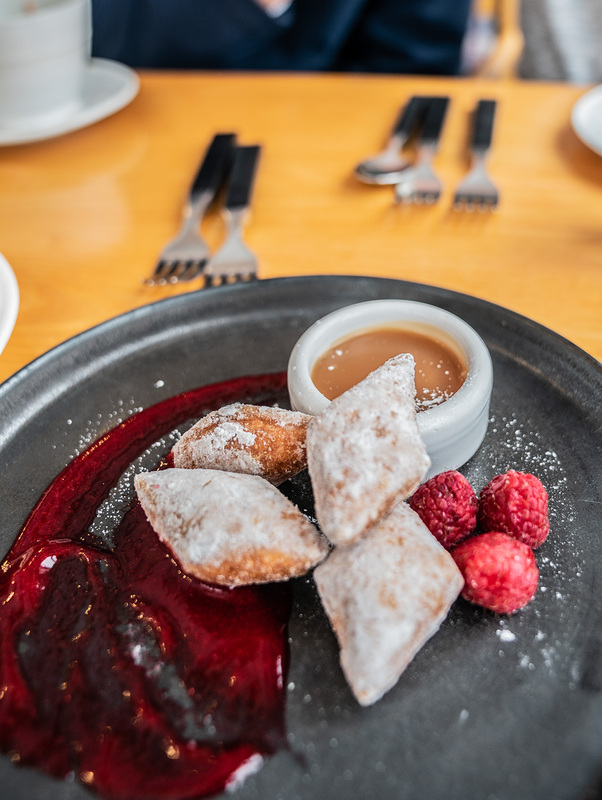 And the beignets, with a fresh raspberry sauce plus a caramel sauce, were equally unbelievable and addictive. As I glanced around the room, nearly every group at the restaurant had either a baby or young children at the table. The restaurant even had a “prince chair” – a chair with taller legs that boosted Tru up to the right height at the table. 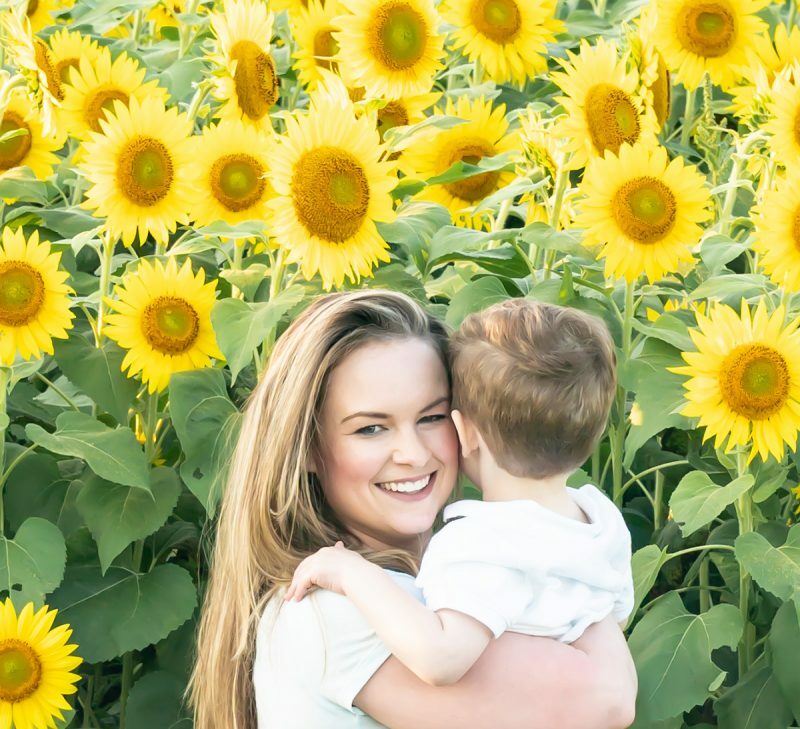 So definitely, we’d recommend this restaurant as a must-visit for families for brunch or lunch. 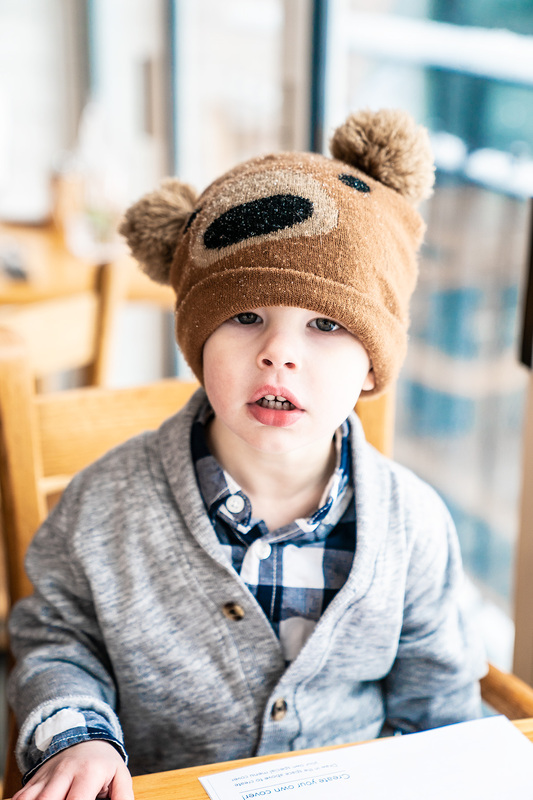 It’s so rare to find a restaurant that’s elegant and appealing to adults, but also kid-friendly! Chris and I loved the food at Worthy Kitchen, and it’s basically the ideal family friendly restaurant. It’s beautiful inside, with hardwood floors and wood beams across the ceiling. But, at the same time, it has that casual, aprés-ski feel. The food is far above and beyond the typical burger place though. They really focus on high quality ingredients, like grass-fed beef, line-caught fish, and humanely raised chicken. Their burgers are made to order over hardwood fire and their fries are hand-cut. 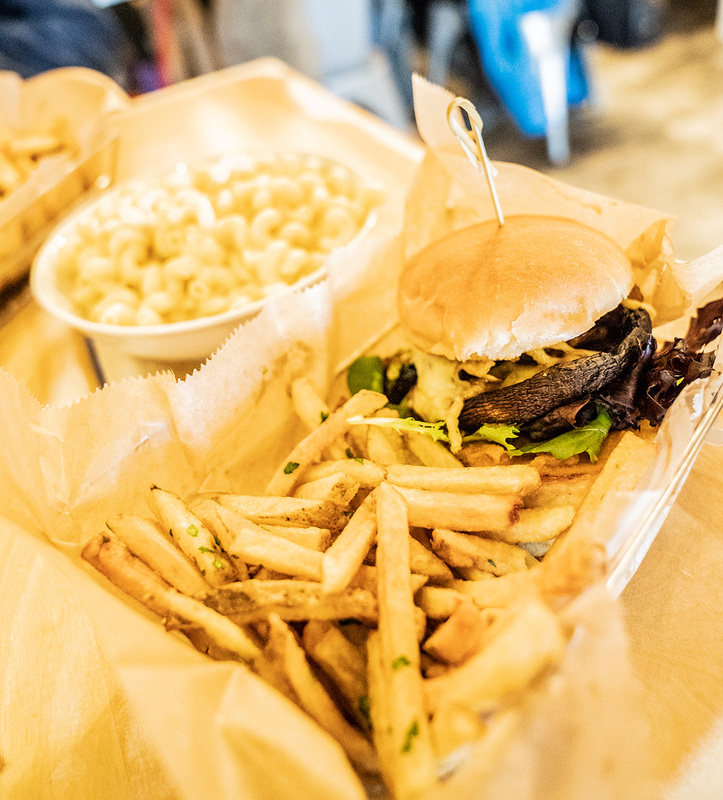 We loved everything we ordered here, including Tru’s mac and cheese with aged cheddar and my marinated mushroom veggie burger with onion jam. It was all super flavorful and delicious. Previous Post How Do You Go Slow Asleep?